If the old saying, “Build it and they will come” holds true, then we are in for a real pickleball explosion in Southeastern Indiana. 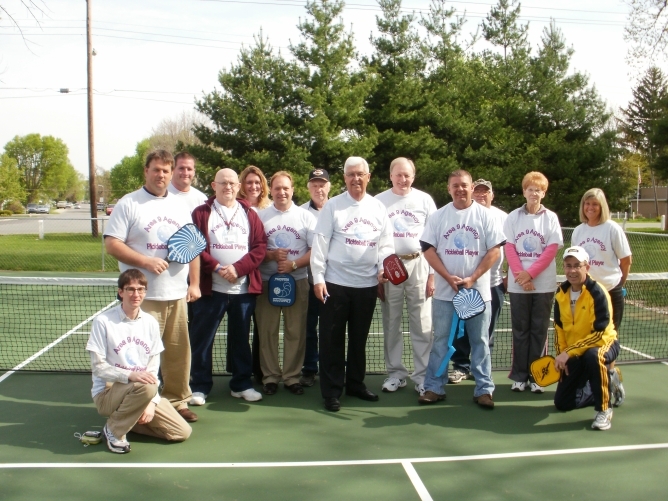 Within the last two months, seven newly constructed pickleball courts have been christened in the counties surrounding us here in Brookville, Indiana. Thanks to a bulldog attitude to find funds, Tony Shepherd, of the organization Area 9 for the Aging, was granted funds to build two brand new courts in Richmond, two in Connersville, two in Cambridge City and one in Rushville, Indiana. With members of the press in attendance, each location celebrated the opening of their courts with mayors and dignitaries doing ribbon cuttings. 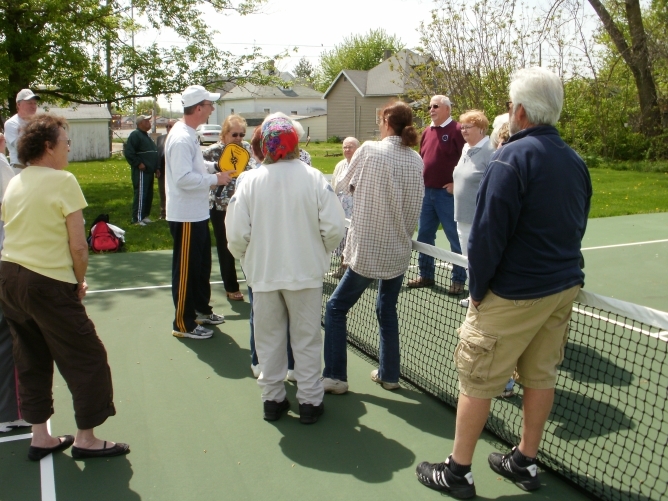 SE Indiana USAPA Pickleball Ambassadors, Rodney and Karen Grubbs along with one of the founding Brookville Pickleball Club members, Marilyn Hedrick, provided demonstrations, playing tips and instructions. Future teaching clinics are being planned and if initial attendance numbers mean anything, pickleball is ready to explode in SE Indiana. The Port Jervis Pickleball Tourney was a two day event on the 3rd and 4th of June with many players and the competition was intense both days with upsets and a couple close calls. When the Finals came around the 4 players left were Tim Crown-Ben Wolf vs. Zack Fitzpatrick-John Moriarty both teams very good this meant any mistakes made could cost either team the title. The match started with Crown and Wolf jumping out to an early 9-4 lead with 4 mins left then they got a little too aggressive by hitting the ball too hard out of bounds. This helped Fitzpatrick and Moriarty regain their composure and slowly make a comeback. Then with a minute left Fitz and Mori were down by one with the serve, then they scored 4 straight to make the score 12-9 in favor of Fitzpatrick and Moriarty and with time running out. This claimed Zack Fitzpatrick-John Moriarty the 2010 Port Jervis High School Pickleball CHAMPS.